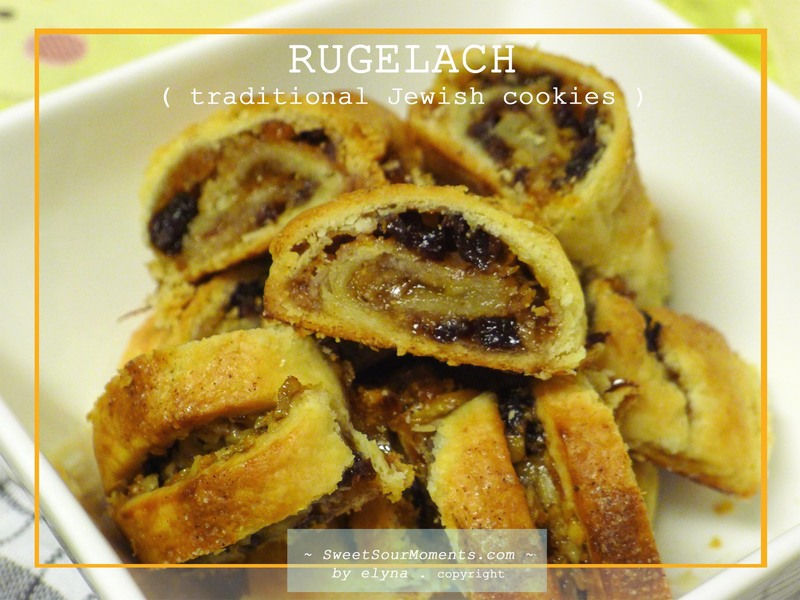 The idea of making Rugelach actually came from nowhere. 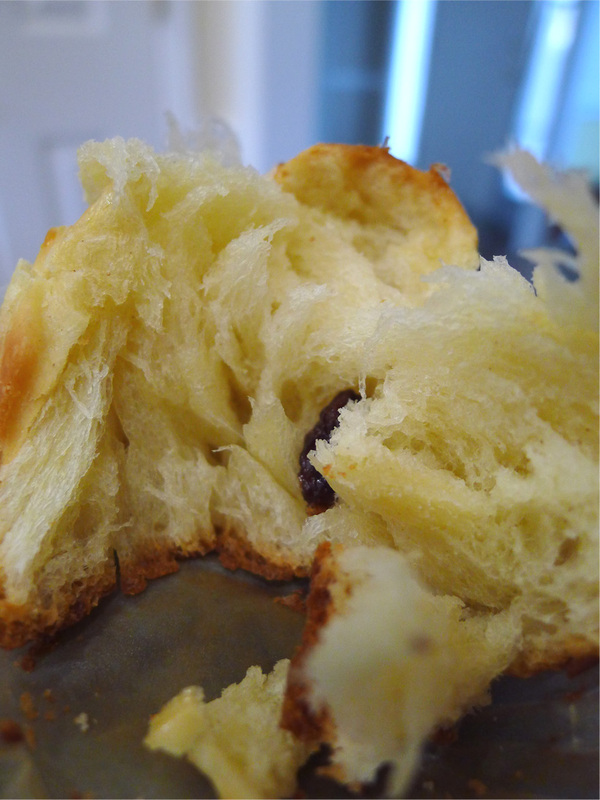 I just wanted to make something that I had never heard, tasted, and seen before. 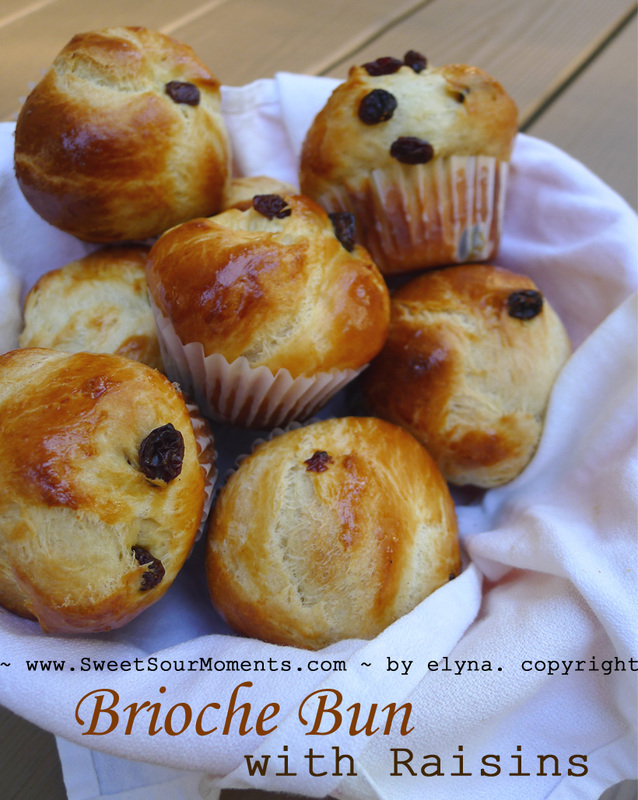 Thanks to uncle Google, I saw this recipe at Epicurious and thought it was a good challenge. To see how is the success rate, I brought it to my colleague who I assumed is very familiar with this cookies. He recognized the name right away, so at least from the appearance point it was in a right direction. Then he said “good”, which I translated to “passed” for this challenge. 1. 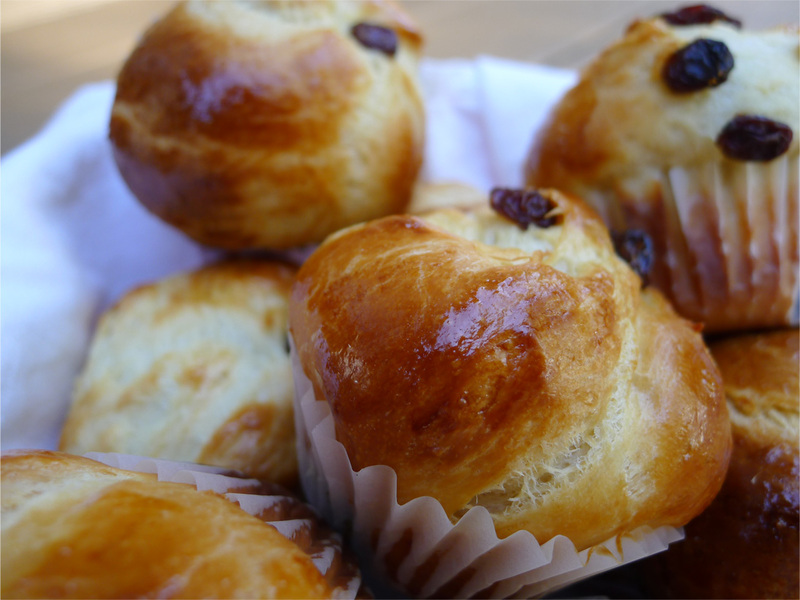 Whisk together 2 cups flour, ½ tsp salt, and 2 tbsp sugar. 2. 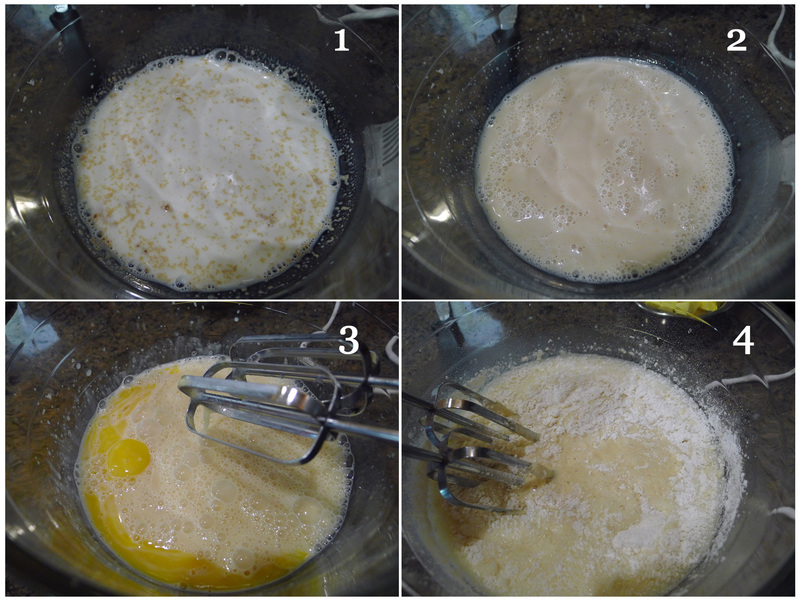 Mix together 8 oz cream cheese and 1 cup unsalted softened butter until combined well. 3. 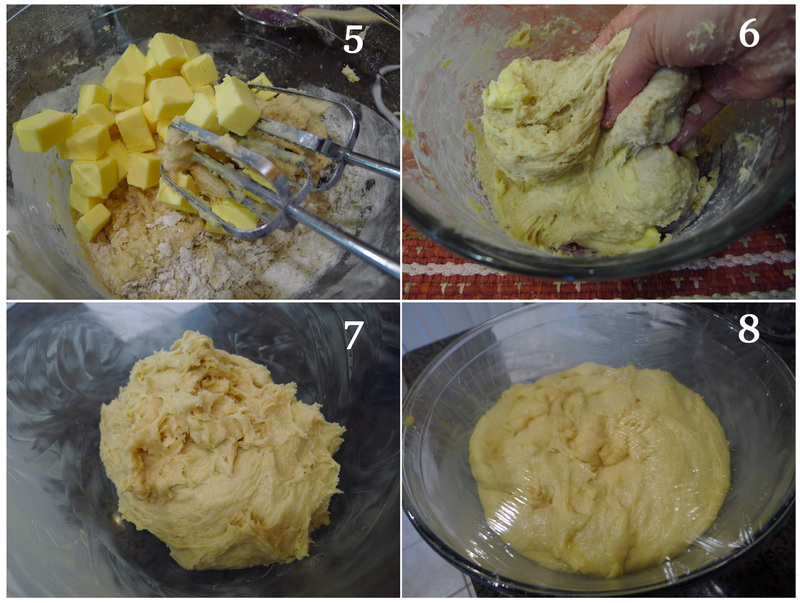 Add flour mixture into butter mixture, mix them with wooden spoon until fully incorporated and form a dough ball. 4. 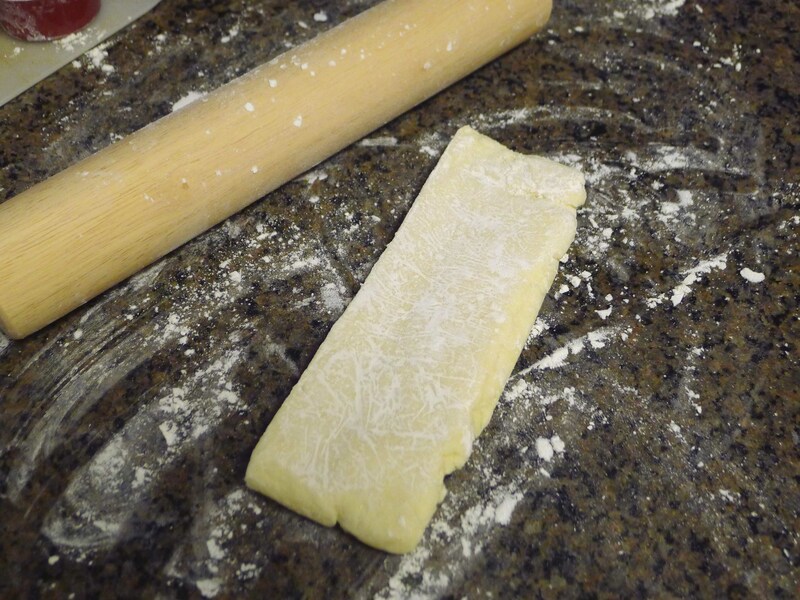 Wrap the dough ball in a plastic wrap and flatten into 7 x 5 inch rectangle. 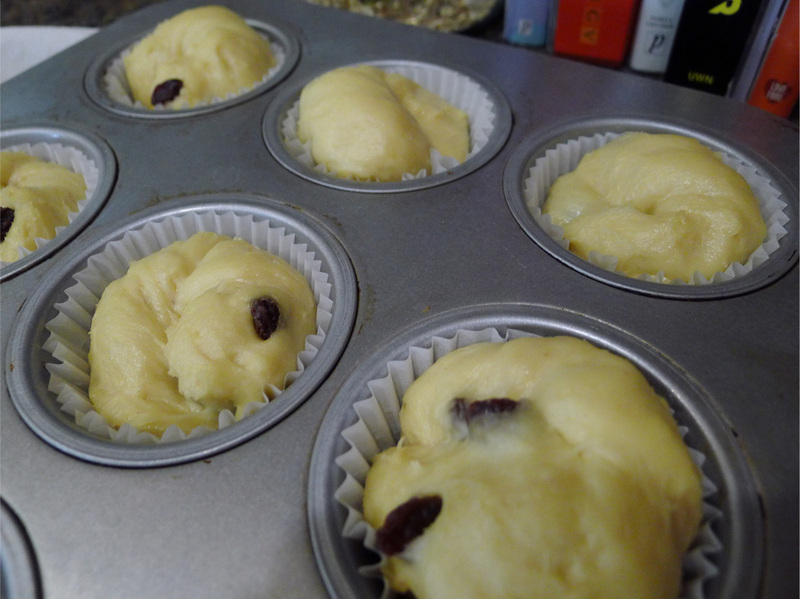 Chill in refrigerator until firm for 3 hours ( the original version says 8 – 24 hours ). 6. 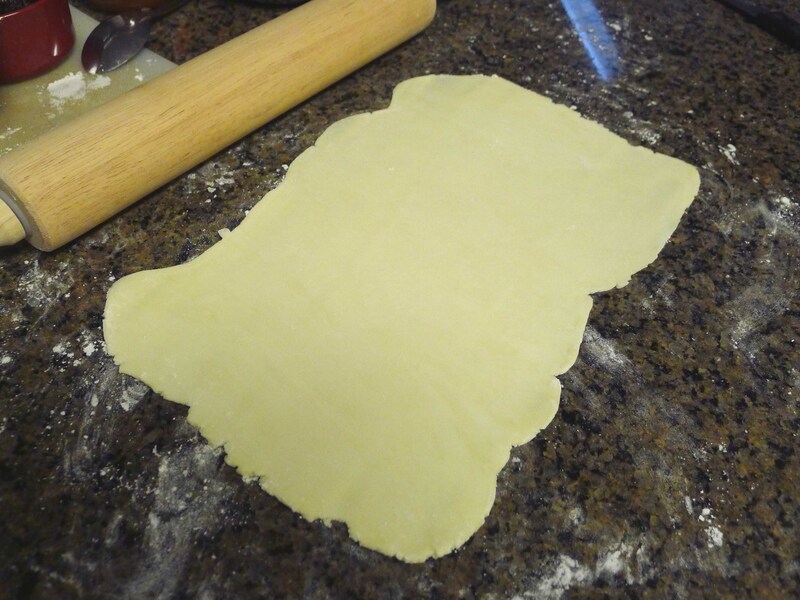 Divide the flatten dough into 4 piece. 7. 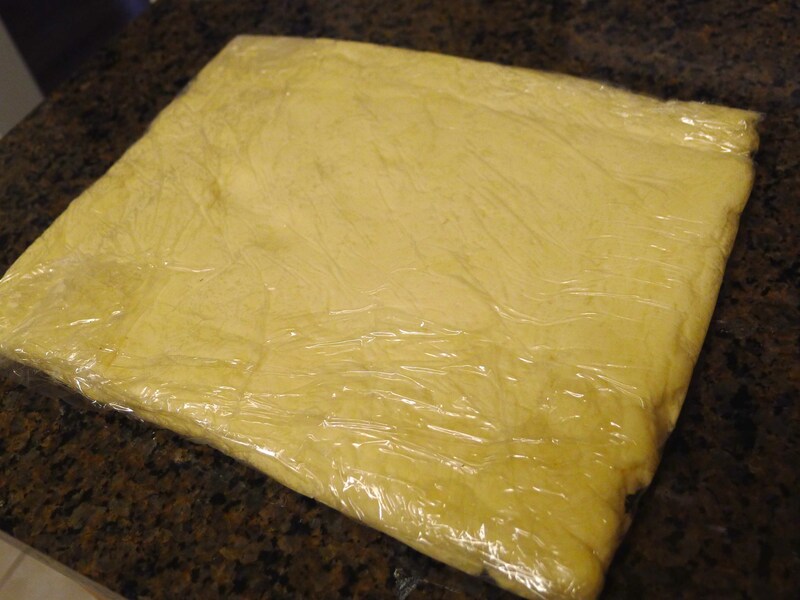 Roll out each piece into 12 x 8 inch rectangle on well-floured surface ( refrigerate the remaining pieces in plastic wrap until you finish with the previous one, this is to keep the dough in firm shape ).The finished 12 x 8 inch piece then transferred to parchment paper and put back into refrigerator. Do this until all 4 pieces are finished. 9. 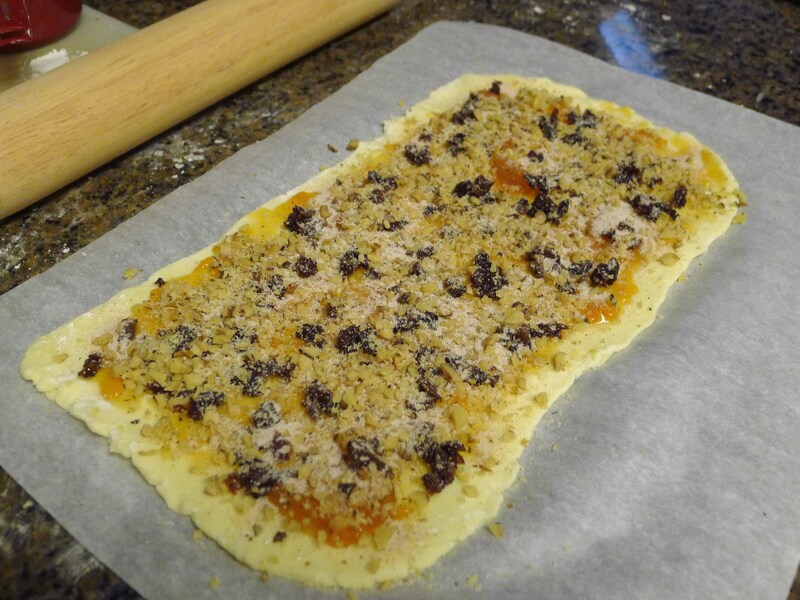 Onto each piece of dough, spread apricot preserves evenly, sprinkle chopped raisin, sprinkle chopped walnut, then sprinkle cinnamon sugar. 10. 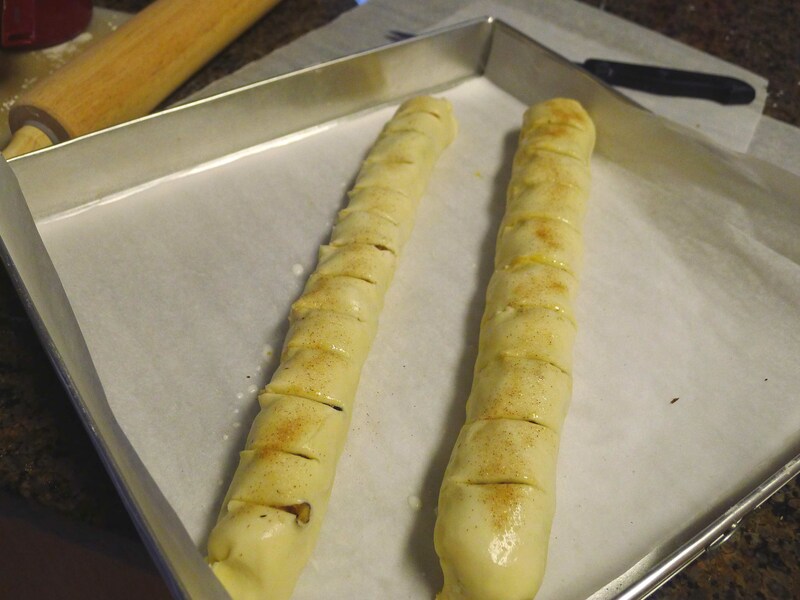 Roll the dough, place seam side down, pinch both ends, brush the top with milk, sprinkle the top with 1 tsp sugar, cut crosswise halfway through the roll at 1 inch intervals. 11. 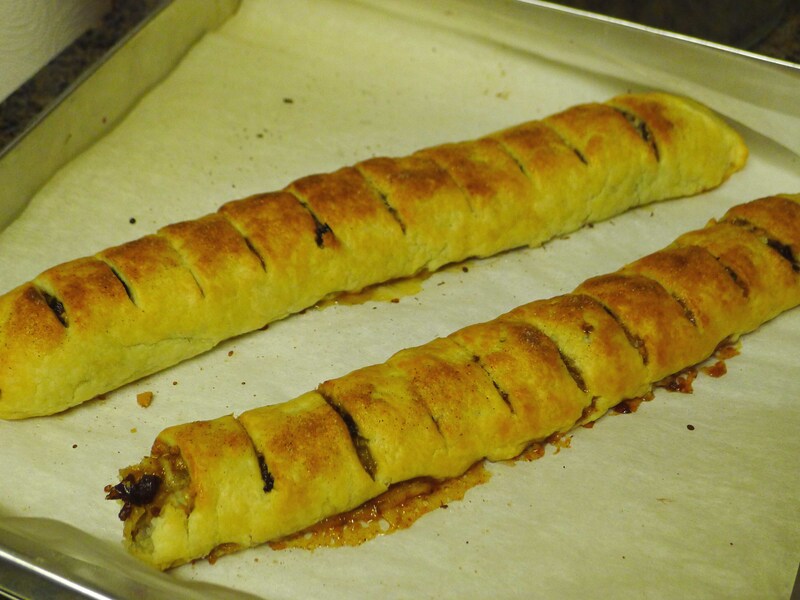 Bake for 45 minutes, cool on rack, cut into slices, serve.